First of all, what are purchased emails ? Purchased emails are email lists that are sold or rented out for possession or control of the list. These emails are collected from unsuspecting users and sold to companies or individuals who can afford the fees. An email list is considered purchased when it supplied by a third party. 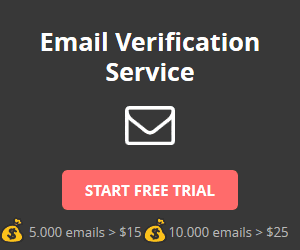 There are email list vendors and sites that offer these services. These emails are often collected from surveys, trades and other registration procedures. There’s also a method called email harvesting. These individuals use “bots” to harvest emails from comments, forums, blogs and websites. There are times where they hire people to manually grab these emails at a low fee. Why are purchased emails not recommended ? Lack of permission from the owner. As mentioned above, purchased emails are harvested and collected from unsuspecting users who never would have thought their emails will be sold to a third party. The idea of a successful email marketing venture is connected with permission. People would most likely respond positively to emails they sign-up or requested for. If not then you’d likely end up being labeled a spammer. Purchased emails can ruin your reputation. Using a purchased email list is violating ISP and email client rules. Moreover, these purchased list reflect a high bounce rate and mostly gets flagged as spam. Emails sent to these addresses have low open rates. Some email servers block companies who use purchased emails due to poor delivery and it will take a while to build your reputation again. No matter what people might say, purchasing an email list is not good for your business. It’s a waste of time, effort and money. It can ruin your sender reputation, block your from reputable email servers and lower the value of your emails regardless if it’s good quality and content. As a growing business, you would want to do things accordingly and legally. You wouldn’t want to throw it all out just because of one lousy email list.